What Type of Insurance is Best for You? The choices in life insurance policies are bewildering. Keep one thing in mind: if you don't need it, don't buy it. Life insurance needs vary depending on your personal situation. If you have no dependents, you probably don't need life insurance. If you don't generate a significant percentage of your family's income, you may not need life insurance. If your salary is important to supporting your family, paying the mortgage or other recurring bills, or sending your kids to college, life insurance is important to ensure that these financial obligations are covered in the event of your death. It's difficult to apply a rule-of-thumb because the amount of life insurance you need depends on factors such as your other sources of income, how many dependents you have, your debts, and your lifestyle. The general guideline is between five and ten times your annual salary. The debate over term versus whole life insurance goes on. Some experts recommend that if you're under 40 years old and don't have a family disposition for a life threatening illness, go for term insurance, which offers a death benefit but no cash value. Whole life offers both a death benefit and cash value, but is much more expensive. Half of all cash value policies are surrendered within the first seven years, making the coverage very expensive because huge commissions (thousands of dollars the first year) and fees limit the cash value in the early years. Since these fees are built into the complex investment formulas, most people don't realize just how much of their money is going into their insurance agent's pockets. The least expensive life insurance is likely to be from your employer's group life insurance plan. These policies are typically term policies, which means you're covered as long as you work for that employer. Some policies can be converted upon termination. The cost of other types of life insurance varies greatly, depending on how much you buy, the type of policy you choose, the underwriter's practices, how much commission the company pays your agent, etc. The underlying costs are based on actuarial tables that project your life expectancy. High risk individuals, such as those who smoke, are overweight, or have a dangerous occupation or hobby (for example, flying), pay more. There are often hidden costs in life insurance policies, such as fees and large commissions, that you may not find out about until after you purchase the policy. There are so many different kinds of life insurance, and so many companies that offer these policies, that I recommend using a fee-only insurance advisor who, for a fixed fee, will research the various policies available to you and recommend the one that best suits your needs. 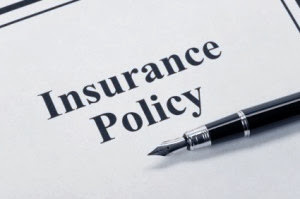 To ensure objectivity, your advisor should not be affiliated with any particular insurance company and should not receive a commission from any policy. When choosing life insurance, use the Internet's resources to educate yourself about life insurance basics, find a broker you trust, then have the policies he or she recommends evaluated by a fee-only insurance advisor. buy term; if you want an investment, buy an investment, not insurance. Don't mix the two. For the record, unless you're a very savvy investor and understand all the implications of the various types of life insurance policies.The bottom line is that the average person should be purchasing term life insurance.